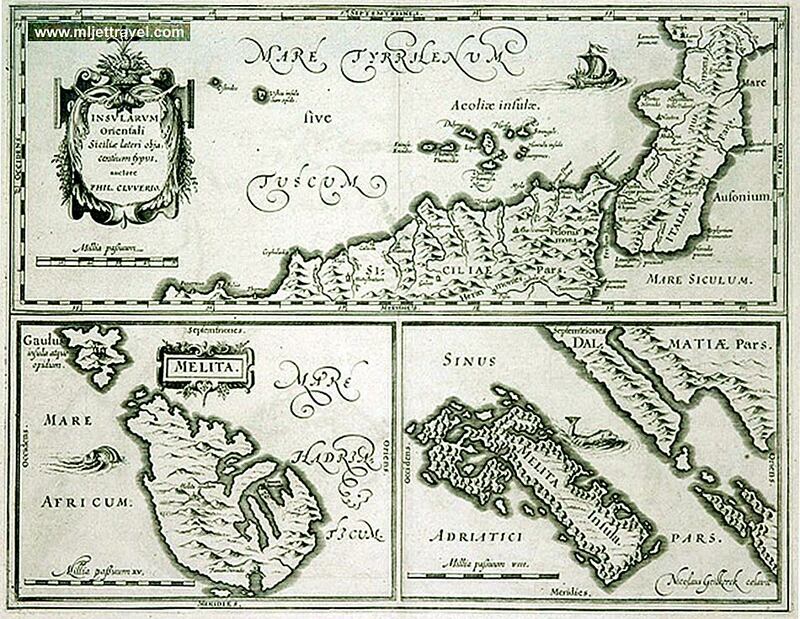 Map of Mljet island from 17th century – It shows northern Sicily with Calabria and the Aeolian Islands at the top part of the map. The bottom maps shows Malta (left) and the island of Mljet (right). The map was published in Leiden, Elzevier in 1619 by Philipp Cluver, a Polish geographer (1580 – 1622) who travelled the area at the time.. Veliko and Malo Jezero of current National Park as well as surrounding coastline/ bays are clearly recognisable.